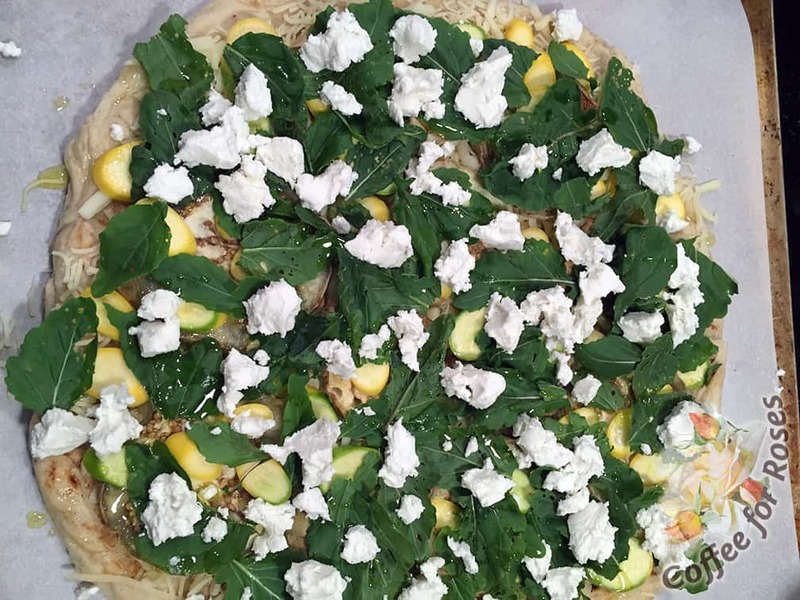 If you have a veggie garden, you have the makings of a fantastic pizza that’s quickly made. Here’s how. Start with the pre-made crust of your choice. 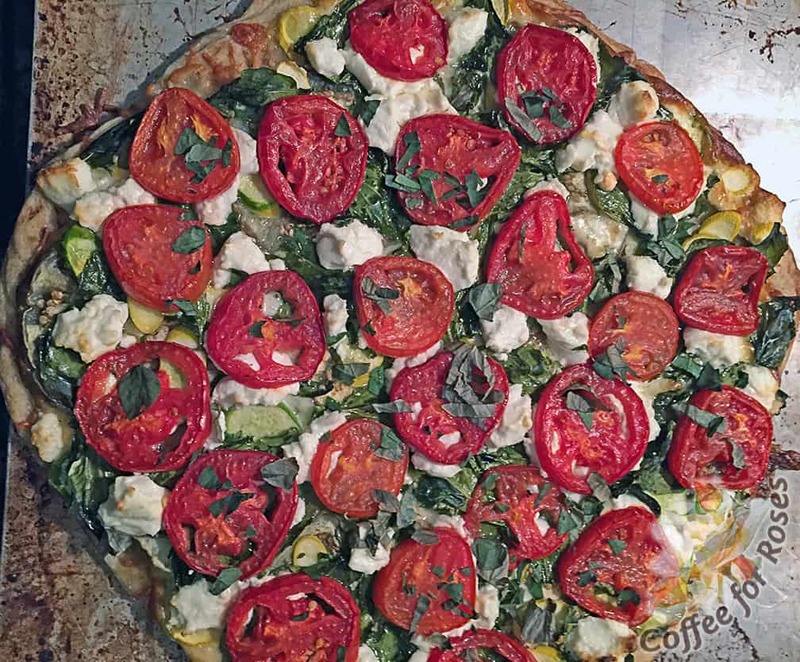 Get a pre-made crust of your choice. It can be a dough or a crust that’s already baked. I’m a fan of this variety that I get at Whole Foods in Hyannis because it’s delicious and made in Rhode Island. Local food forever! 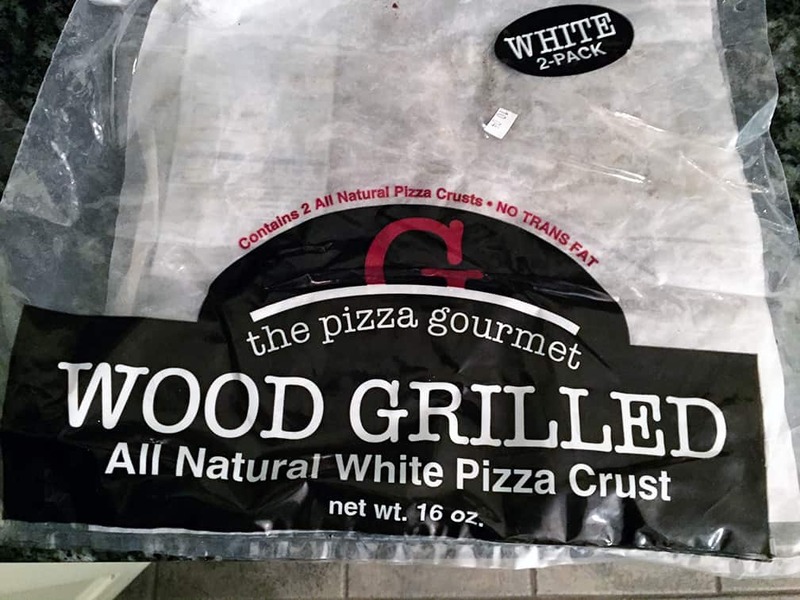 I’m also fond of this because in a time when even things like coffee that have NEVER contained gluten are labeled “gluten free,” this crust has “high gluten flour” as the main ingredient. 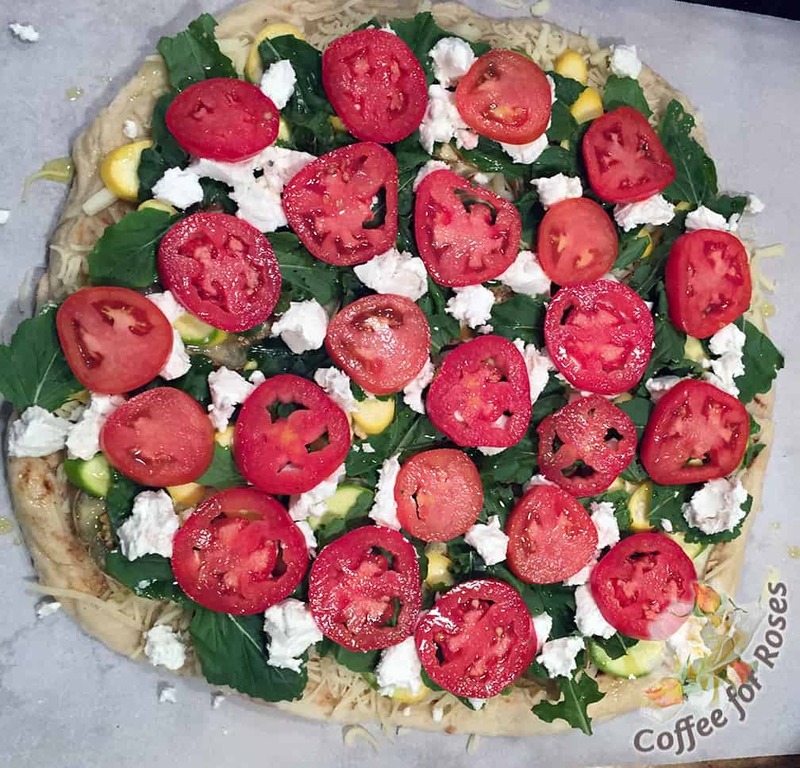 Put the crust on a cookie sheet and sprinkle the top with shredded cheese – I use a “four cheese Italian” blend. Next top with veggies from your garden. Most can be used raw, but if you’re including eggplant slice and roast it until it’s soft first. 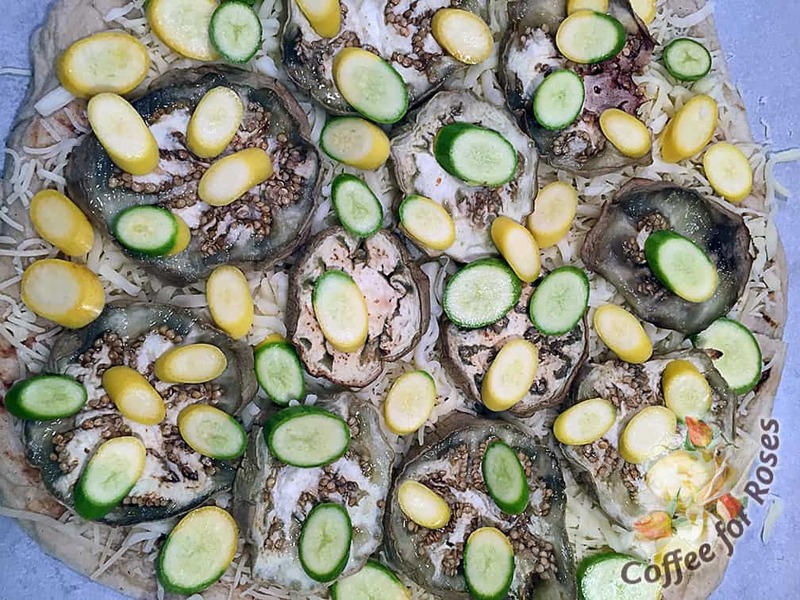 I placed roasted eggplant all over the cheese topped crust and then added sliced summer squash pieces. Next I added arugula (the last of the season I’m afraid!) and some pieces of soft goat cheese. Finally I added sliced fresh tomatoes, and drizzled olive oil over the top. Bake at 350 degrees for about 30 to 45 minutes.